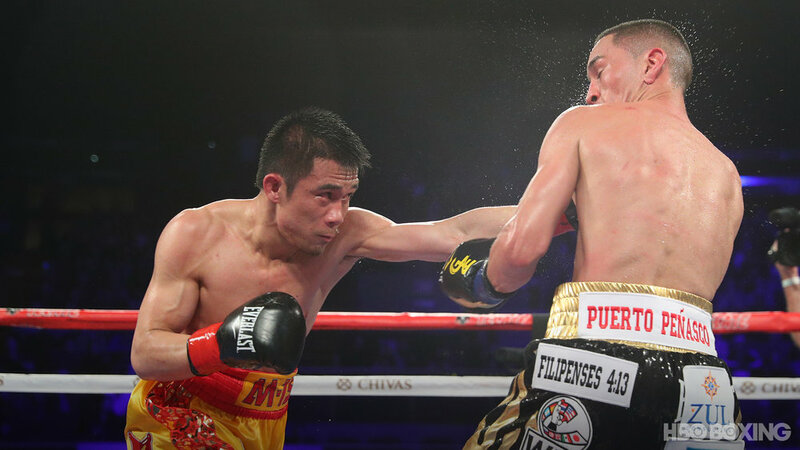 INGLEWOOD, Calif. – For 11 rounds, Srisaket Sor Rungvisai and Juan Francisco Estrada produced 33 minutes of boxing of the highest caliber, throwing and feinting and counter-punching their way through shifts in momentum, first one man gaining the upper hand and then the other, as they battled back and forth in a display of highly violent chess. And then, in the 12th round, they outdid themselves. If Sor Rungvisai’s majority decision victory is a Fight of the Year contender with just a couple of months of 2018 in the books, then the 12th will take some beating for the year’s best round when December comes to a close. The first 11 rounds displayed prizefighting both cerebral and punishing, but the 12th was flatout warfare, two gladiators throwing caution to the winds and punches at each other with murderous intent. Neither man was prepared to leave any drop of energy in his fuel tank, and each tore into the other with extreme viciousness as the crowd roared itself hoarse and jaws ringside dropped in silent exclamation of what they were witnessing. 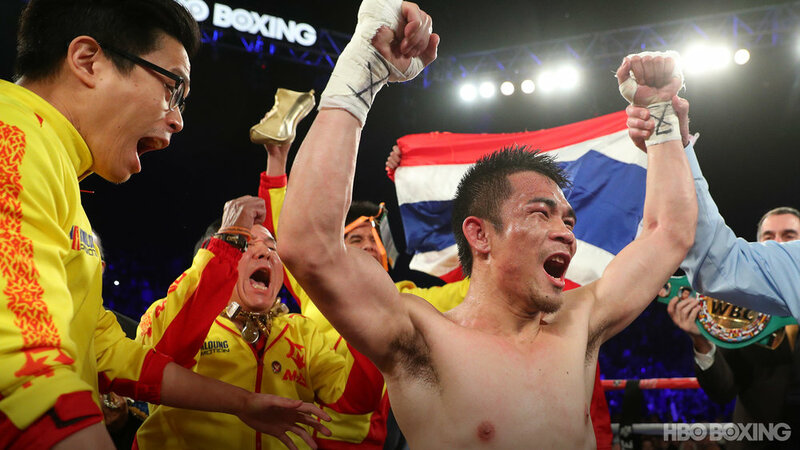 Sor Rungvisai was the official winner here, but there were no losers – not the crowd at The Forum, not the audience watching on HBO, not even the man who was, the record will show, in fact the loser. Estrada may have fallen short on the night, but he underlined both his brilliance and his rival’s, and if the two men don’t meet again in a rematch, then they will both have an abundance of options from whom to choose in the packed and deep lower weight divisions. 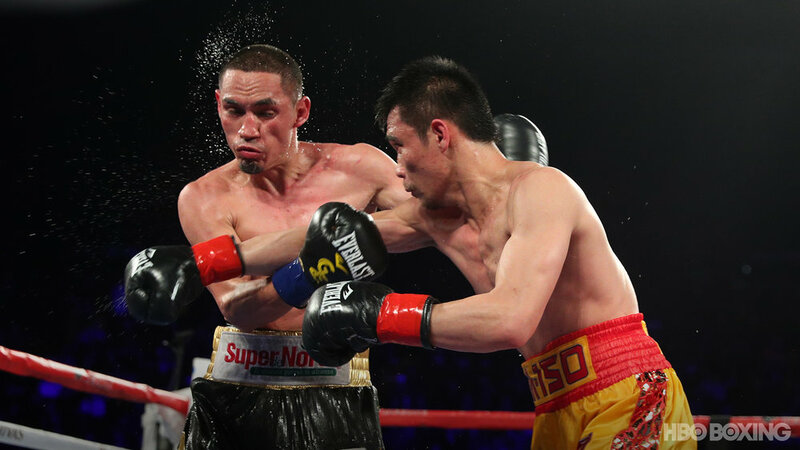 After a slightly cagey opening, Sor Rungvisai began to dial in his punches in the second, throwing heavy leather and landing thudding southpaw rights and lefts. Estrada, though, looked confident as the Thai fighter marched forward, looking to counter him with short, sharp punches on the inside. Sor Rungvisai (44-4-1, 39 KOs) pressured Estrada, swarming him, thumping him with left hands, but Estrada twisted and turned under the assault, causing most of the blows to land on his shoulders and back until a pair of lefts at the end of the fourth rocked the Mexican backward for the first time in the fight. Suddenly, Sor Rungvisai was in the ascendant. He had found his range and accuracy and was dialing in his power punches. A straight left landed. And another. And another. And now Estrada, having seemingly lost the counter-punching edge, was standing and trading more, and all at once it was Sor Rungvisai who was doing the countering to great effect. And when the Thai fighter’s punches landed, they did so with a clear authority that estrada’s, although sharp and precise, did not. Then the eighth round came, and now Estrada (36-3, 25 KOs) had adjusted anew, taking a fraction of a step back and forcing his opponent to reach with his punches just that little bit more and leave himself open to the Mexican’s counters once again. 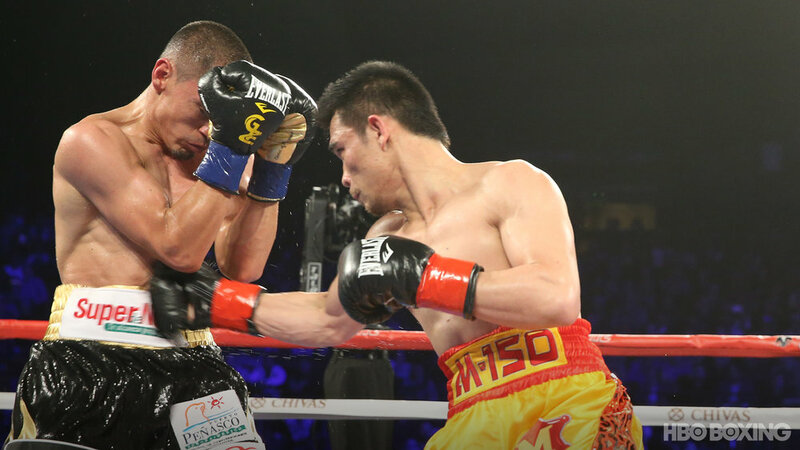 Sor Rungvisai was throwing the harder, if increasingly weary, punches, but Estrada was landing the crisper combinations. The final phase of the fight was a war of attrition, the two champions -- and both men are clearly and deservedly champions, even if Sor Rungvisai is now the lineal king at super flyweight -- trying to impose their strength and strategies, every one of the closing rounds seemingly in the balance until their end. And when those final, brutal three minutes had concluded, there could be few who felt able to assert with any great confidence that they knew for sure who had won. The answer, in the end, was Sor Rungvisai. Judge Dave Moretti scored the bout a 114-114 draw, but Cathy Leonard saw it 115-113 and Steve Morrow a surely-too-wide 117-111. Sor Rungvisai, after a pair of 2017 wins over former pound-for-pound No. 1 Roman Gonzalez, has now established himself as the main man at 115 pounds. But he is also clearly one of the handful of very best boxers, of all weights, in the world. So, too, is Estrada, even in defeat. This fight, and both men, were -- and are -- that good. 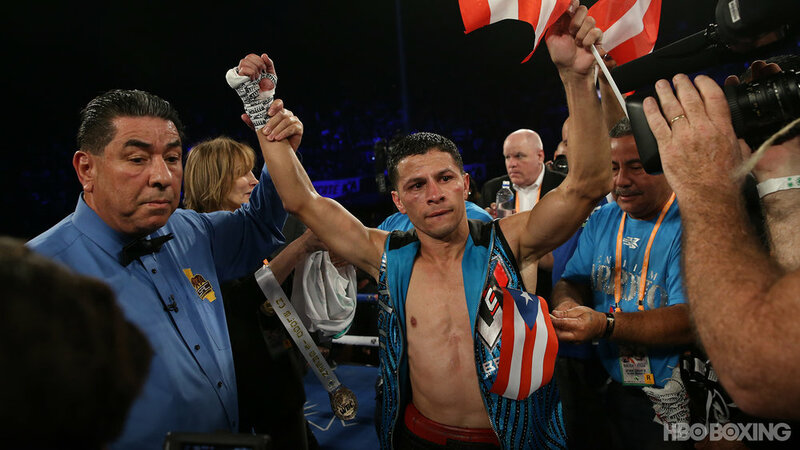 In the latest contest to emerge from the pipeline of clashes between Mexico and Puerto Rico – surely the most intense national rivalry in the sport – McWilliams Arroyo scored a majority decision win over Carlos Cuadras to secure bragging rights, at least for this night, for the Boricua contingent in the crowd. 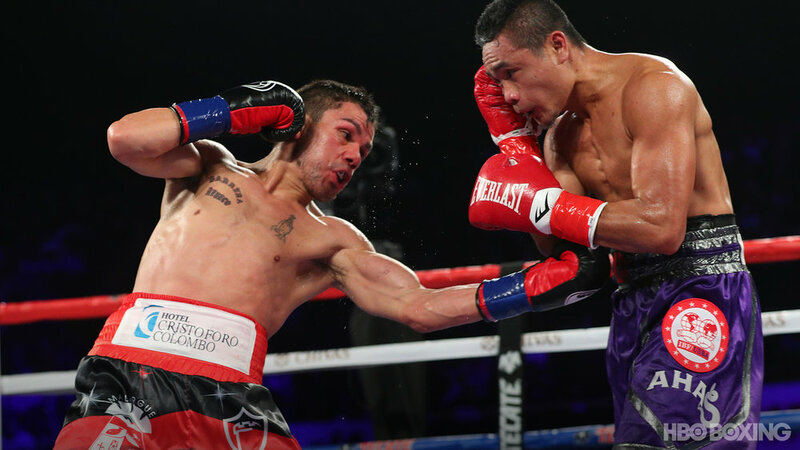 Arroyo (17-3, 14 KOs) tore into Cuadras from the start, digging left hooks to the body and looking to inflict maximum punishment with every punch he threw. Cuadras (36-3-1, 26 KOs) appeared surprised and a little overwhelmed by Arroyo’s strong start, but landed the first big punch of the night in the form of a counter right hand that spun Arroyo 90 degrees late in the second. 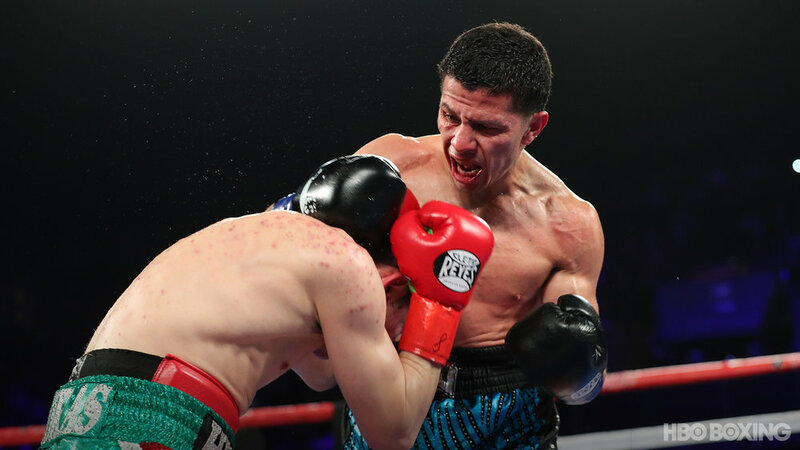 Cuadras sought to slow things down a little with his jab, and there was a brief period when it seemed that Arroyo may have run out of gas; but from the fourth round, he switched to the second phase of his assault, in which his aggression was tighter and entirely more controlled. He was now happy for Cuadras to come to him and use up energy with right hands flung from distance, while he remained compact and composed, steering the Mexican onto punches of his own. By the fifth, the Cuadras offense was starting to look sloppy, while Arroyo’s was tight and torqued. Increasingly, the Mexican’s punches were hurled without the full force of his body behind them, while the Puerto Rican’s were shorter and turned over with greater effect. Arroyo landed a hard right hand as Cuadras launched a flurry in the fifth, cracked him with a series of hard shots in the left that seemed to bring a confident smirk to his face in the seventh, and tore into him with digging left hands in the eighth as he tested his foe’s remaining reserves. Perhaps overly confident of his position on the scorecards, Arroyo eased up over the final two frames as Cuadras fought desperately to make up ground, but although judge Fernando Villareal saw a 95-95 draw, Pat Russell and Tony Crebs overruled him with scores of 98-92 and 97-93, respectively. In the opening bout, flyweight champ Donnie Nietes made his HBO debut an impressive and dominating win, hurting Juan Carlos Reveco at the end of the sixth, dropping him in the seventh, and prompting a corner stoppage to retain his flyweight title. Nietes (41-1-4, 23 KOs) has held a world title for a decade, and is one of the most celebrated champions in the storied history of Philippines boxing. And he simply had too much class for the brave and game Reveco (39-4, 13 KOs), who was a determined ball of energy and never stopped throwing, but simply wasn’t in the same league as his foe. Reveco started faster, winging punches from mid-range, but Nietes was merely biding his time; and bit by bit, he slowly reeled Reveco in, closing the gap between the two men until it was just to his liking, and steadily breaking him down with right hands and uppercuts behind a solid jab. 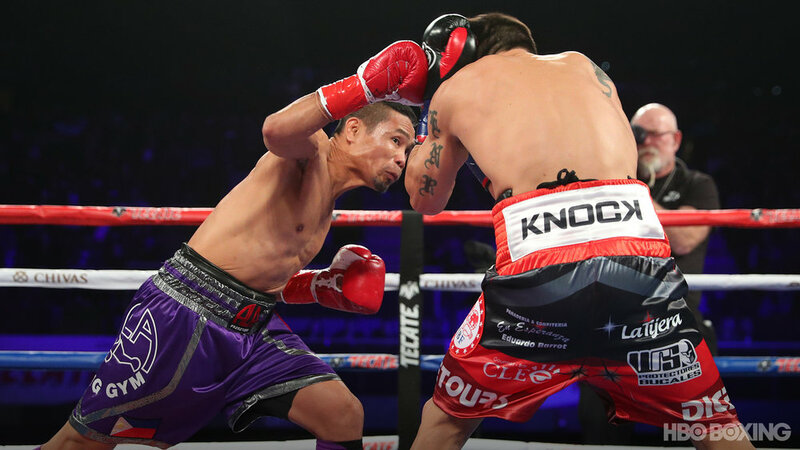 Reveco’s offense was the more active and frenetic, but Nietes threw his punches with greater calculus, purpose and effectiveness. A counter right hand at the very end of the sixth hurt Reveco badly. He walked away as referee Ed Hernandez Sr. stepped between them at the bell, but as he headed to his corner it was on drunken legs and he wound up missing his target and falling into the adjacent ropes. The one-minute respite wasn’t sufficient and he came out for the seventh in a less-than-convincing condition. Nietes smelled blood, and went for the finish, backing him to the ropes and dropping him with a four-punch combination in a neutral corner. Reveco beat the count, but his corner threw in the towel.